Looking for a Quote? or perhaps a few Questions about Synthetic Grass and what We can do for You? 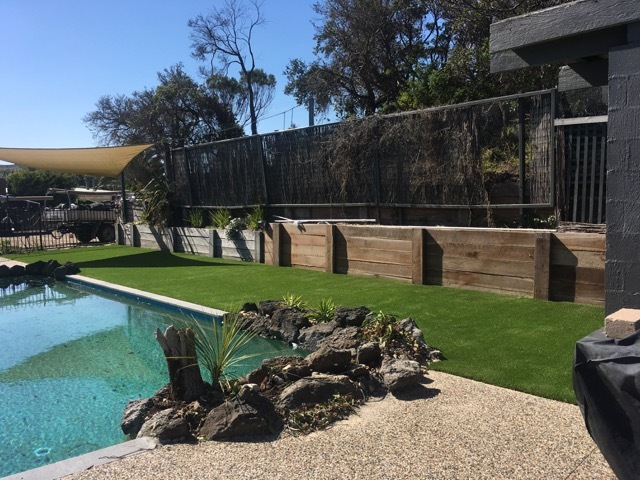 Our small team of Synthetic Grass specialists are committed to bringing old school workmanship to the Mornington Peninsula, Melbourne and its greater surrounding suburbs. 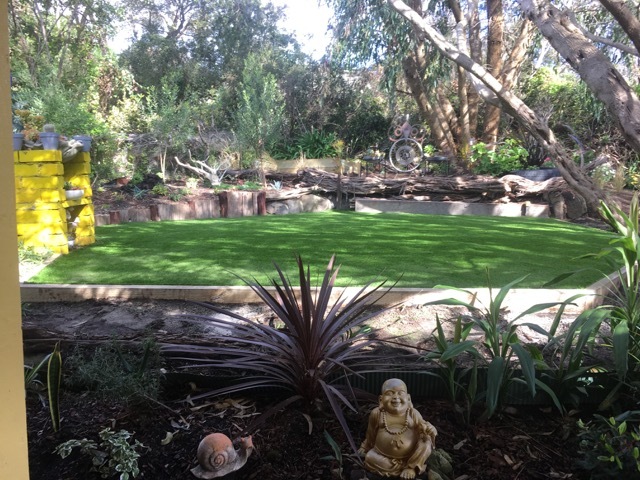 We have been sculpting and creating beautiful synthetic grass landscapes for a while now & you’ll find our work spread around Victoria. 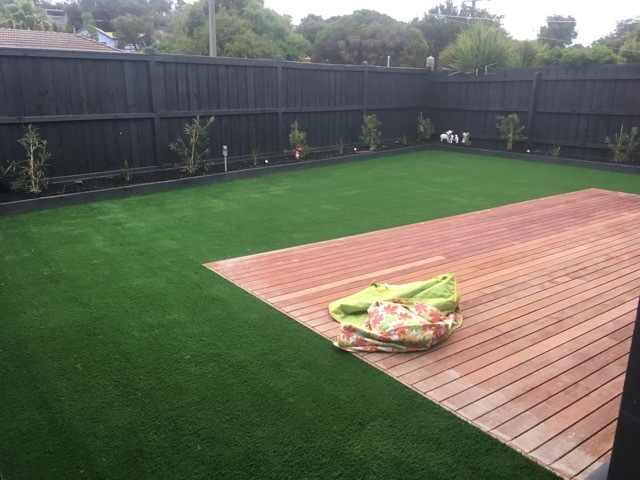 We’ve done front yards in the northern suburbs as well as inner city rooftops and trendy courtyards, backyards on the Mornington Peninsula and whole synthetic landscapes in the south eastern suburbs, with a few putting greens thrown in for good measure. So, whatever you may need be it residential or commercial – Just Give Us a Ring! Here we have an expansive front yard situated in the South Eastern Suburbs of Melbourne. The particular synthetic grass laid is very hard wearing with a high fiber count. The Base work has a beautiful natural look which maintains the organic contour of the landscape. All cut and joins have been carried out meticulously and pegs have been placed every 25 cm around the perimeter for extra security and to avoid any tripping points. 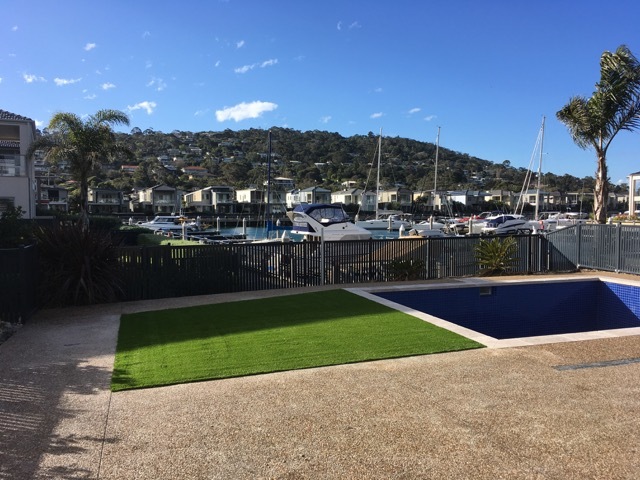 A Bayside Backyard that has just been laid & sanded with a specialised kiln dried sand, which adds weight for securing the grass to the base, protects the backing from ultraviolet rays, and holds the grass fibers in a more upright fashion. 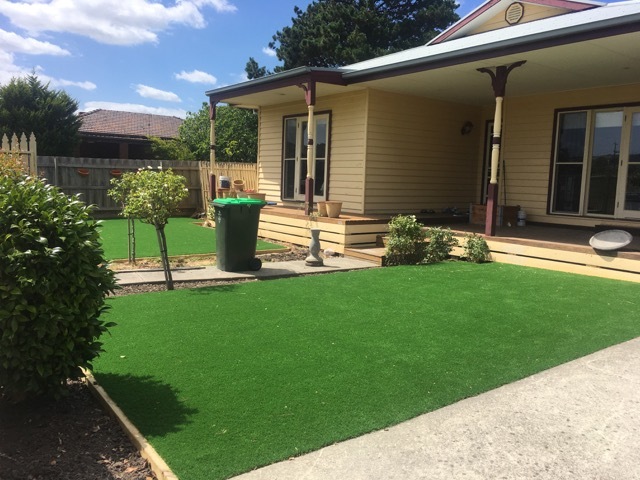 Here we have and inner city front yard that has benefited the owner tremendously as mowing the lawn has become a distant memory and low maintenance beauty and convenience an everyday reality. 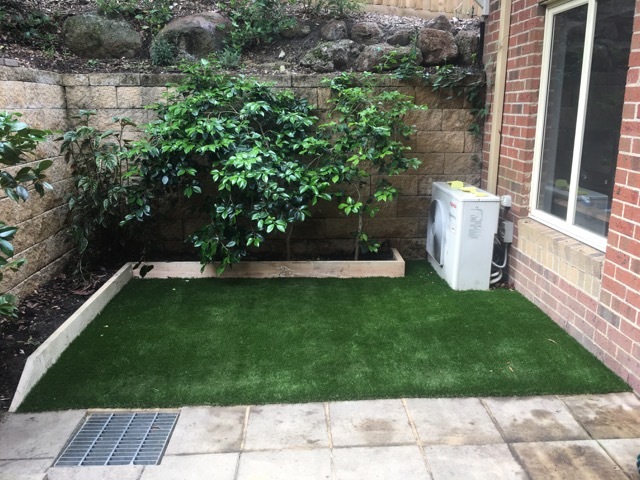 Feel Free to give us a call so we can make your Eye Catching & Maintenance Free garden dreams a Synthetic Grass Reality! Including but not limited to: Arthurs Seat, Balnarring, Balnarring Beach, Baxter, Bittern, Blairgowrie, Boneo, Cape Schanck, Capel Sound, Crib Point, Dromana, Fingal, Flinders, Hastings, HMAS Cerberus, Main Ridge, McCrae, Merricks, Merricks Beach, Merricks North, Moorooduc, Mornington, Mount Eliza, Mount Martha, Pearcedale, Point Leo, Portsea, Red Hill, Red Hill South, Rosebud, Rye, Safety Beach, Shoreham, Somers, Somerville, Sorrento, St Andrews Beach, Tootgarook, Tuerong and Tyabb, Frankston, Frankston South,Cranbourne, Bayside & the South Eastern Suburbs of Melbourne.